Today is an exciting day, as we add a new product to the Auth0 family: Auth0 Extend! Auth0 Extend gives you a Serverless extensibility platform you can plug right into your SaaS. Basically, it's Extensibility as a Service. With Auth0 Extend, your customers, partners, as well as your own engineers and sales engineers can quickly and easily extend your product. If you're a decision-maker for an SaaS product, then you're constantly dealing with a stream of requirements for new features. These requirements arise from sales calls with prospective customers, or they come from your existing base. 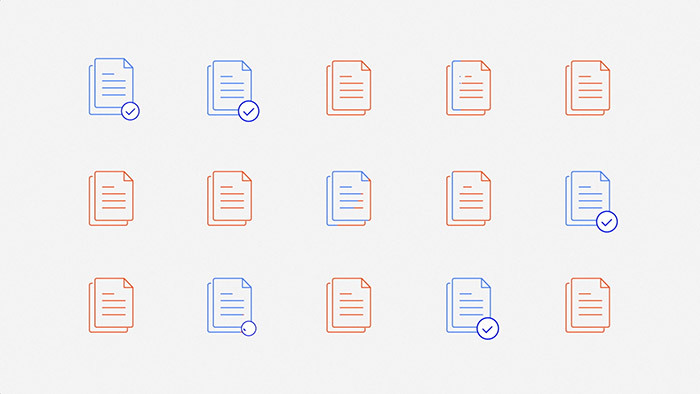 It may be that your SaaS needs to integrate with an external system the customer uses, or that there's some custom validation logic that's an absolute requirement. Regardless of the requirement, feature requests inevitably end up on an ever growing product backlog. 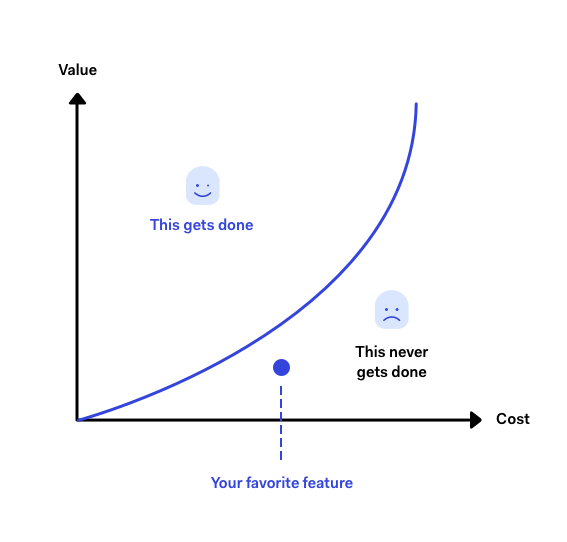 Resources on your team are finite, so unless there's a critical mass of interest in the feature, or enough high-paying customers, there's a good chance those features will never get done. Making your SaaS extensible can remove the bottlenecks to delivering value. Done right, it enables new features to be introduced and requirements to be met, without being blocked by the product backlog. The most common way to handle extensibility for SaaS products today is through exposing Webhooks. This is how you extend Slack, Github, Zoho, Concur, Intercom, and many other services. They are generally easy for a developer to create, whether it's your own engineers, customers, or partners. Here's the catch, though: a Webhook is a service. Just like any other service, it needs to be properly designed, hosted somewhere, managed, and monitored by someone, and that someone is often your customer. The burden has shifted: the backlog hasn't gone away, it's just moved to a different backlog. As a result, there are a lot of extensions that simply won't be built, because standing up and managing a Webhook is a hassle. A picture tells a thousand words, Tomek said it best with this one. 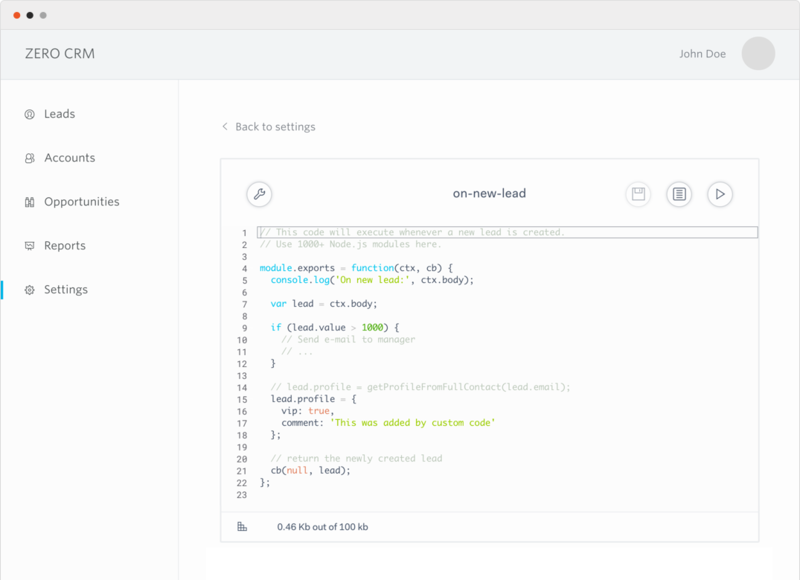 Just look at the screenshot of our Zero CRM sample, and see how easy it is to embed the Extend editor. According to the numbers, rules resulted in more than 10x retention from our customers, and customers using rules represent 70% of our cloud-based revenue. Having Extend in our own product opened new doors and directly translated into new business. Our Sales Engineers jumped on rules as a key way to land deals, such as integrating with external systems that are a deal-breaker. Our field and developer success teams use rules continually to address our customers' emerging requirements. According to the numbers, rules resulted in more than 10x retention from our customers, and customers using rules represent 70% of our cloud-based revenue. Can you imagine the flexibility of your users being able to quickly and easily extend your product through code without having to leave your SaaS or deploy and manage servers? Developers just love Auth0 Extend because of how simple it is to create extensions. No servers, no hosting--just code. Auth0 Extend can help you just as it has helped Auth0 and customers such as Stamplay, Meteor Development Group, and Graphcool. Learn more at https://www.auth0.com/extend and sign up for our free developer account here. You can also follow us on our new @auth0_extend Twitter account. There's much more to come for Auth0 Extend, so stay tuned!